This has been an interesting year for me in reading, with books ranging from spiritual themes to cultural contrasts to biographies, with a few mysteries thrown in. I was pleasantly surprised when I discovered a recent article on the Gospel Coalition titled Why J. I. Packer Reads Mystery Novels (Or in Defense of Light Reading). I’m in good company then when I picked up Louise Penny’s latest mystery Kingdom of the Blind: A Chief Inspector Gamache Novel, a book I thoroughly enjoyed. Here are some of the books I’ve enjoyed the most, in no defined order. You can’t miss with any of them to expand your heart and world view. I read a lot of missionary books. This one stands out because it deals with a predominately Muslim North African nation and also because the author is both engaging and very honest. Any one preparing for cross-cultural ministry, especially among the least reached, or anyone praying and supporting those who go must be prepared for what this family did indeed experience. Is He worth it? This call is made vivid as Emily’s husband literally lays down his life for the sake of the Gospel. You’ll find this book on a lot of reader’s top ten lists. Especially the first half, reads like a suspense novel. Tara’s childhood is one of the most extreme imaginable. Living with an often irrational survivalist father in remote Idaho, Tara never went to school and didn’t even have a birth certificate. She eventually teaches herself enough to be accepted at Brigham Young University and go on to win a scholarship to Cambridge. This articulate memoir is a testimony to her resilience and ability to overcome an extraordinary childhood. Tara’s story also explores the depths to which families will go to cover up abuse and the cost on those around them. Other than the infamous duel with Aaron Burr (grandson of the famous evangelical Johnathan Edwards), which led to Hamilton’s his early death, I didn’t really know much about Alexander Hamilton. I found this well-written and well researched biography to be a fascinating window into the beginning of our nation and Hamilton to be an equally fascinating character. As a teenage immigrant and the only one of the founding fathers that opposed slavery, Hamilton brought a unique view into the political mix of the early days of American Independence. I found the enmity that political figures held each other in surprising, having bought into the Disney version of American History. In fact, politicians have often been crude and extreme, even the esteemed Founding Fathers. 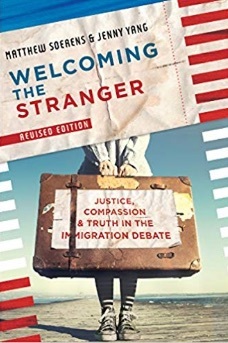 Immigration is such an polarizing and politically fraught topic, that I really searched for a book that would provide a fair, balanced point of view that would support both compassion and the rule of law. I think Matthew and Jenny do a good job. The latest edition addresses some of the more recent issues facing America. 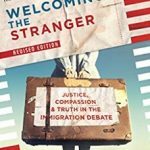 They are especially helpful at examining some of the popular misconception about immigration and immigrants, even the illegal immigrants that wash our dishes and pick our fruit and vegetables. Certainly our integrity in dealing with the refugees in the Middle East has to challenge our Christian faith as we consider the mercy with which Christ has received us. Lewis is one of my favorite authors, but I had never read these two slim volumes. Every letter was a joy to read. According to the introduction of Letters to Children, “C.S. Lewis believed that answering these letters was a God-given duty, and his replies reflect the concern and care that he brought to the task.” Even in responding to children, Lewis’s wit and kindness shine through. Despite his dread of letter-writing, Lewis answered every letter from an “American lady” over a four-year period, with grace and forbearance. She kept up an aggressive conversation, responding to letters immediately. And he never faltered in responding, even through his own pain of Joy’s cancer. the correspondence ended just weeks before his death. I was looking for a book about Indonesia because several people I know and care about are considering moving there. I basically know very little about Indonesia except for the explosion of Krakatoa. Having been fascinated by volcanoes from a young age, I read Simon Winchester’s book Krakatoa: The Day the World Exploded: August 27, 1883. It actually isn’t easy to find books on Indonesia, even though it is the world’s fourth largest nation, but I am very glad I found this one. Elizabeth is part explorer, part cultural anthropologist, and part historical analyst. Her writing is vivid and engaging and in her explorations, each new island showcases her personal experience with new cultures. Along with her wanderings, the author fills us in on a lot of recent Indonesian history, social changes, and political policies. I now feel much better acquainted with this complex country of over 300 ethnic groups spread across 13,500 islands. Abdi’s life story growing up in war-torn Somalia really grabbed my heart. His vivid memories of desperate times of starvation and violence are balanced by his engaging sense of humor and his passion for all things American. Learning English from movies such as The Terminator eventually opened doors for him, but even as a refugee in Kenya, he only was able to come to America by winning a lottery. His experience in America among Somali refugees who only want to return to Somalia is also eye opening. This book is a great way to understand what so many around the world are experiencing. Do you recollect the story of Exodus 17? It was Israel’s first battle and the Amalekites had come against them in Rephidim. Moses did the most extraordinary thing for a leader: he left the battlefield and gave the leadership to young Joshua. With Aaron and Hur, he climbed the nearest hill and lifted up his arms in prayer to God. The fortunes of the battle changed backwards and forwards; now Israel prevailed and now Amalek overcame them. Then the truth transpired: when Moses lifted up his hands, Israel prevailed, and when Moses let down his hands, Amalek prevailed. The front line of the battle, and the issue of the day, they discovered, lay not with the fighters on the field, but with the intercessor on the mountain top (Exod. 17:8-15). That is why the strength of a church can only be measured by its prayer meeting. I love books, so a book about a library was bound to catch my eye. This one didn’t disappoint. I had no idea that the history of the Los Angeles Central Library could be so fascinating and include so many colorful characters. In the process of learning about one library, I also learned about the expanded services of libraries and how modern libraries contribute to the welfare of society. You also learn about fire and arson investigation because of the great fire that almost destroyed the library on April 29, 1986 and destroyed 20% of the library’s books.